In accordance with and pursuant to art. 114, paragraph 5, of law N. 58/1998, and in compliance with the request from CONSOB, the Board of Directors of Finmeccanica has been convened at an emergency board meeting. The Board of Directors conferred to Mr Alessandro Pansa, (CV here) the powers and duties previously held by Mr Giuseppe Orsi . Mr Pansa will exercise these powers under the title of Chief Executive Officer and Chief Operating Officer. 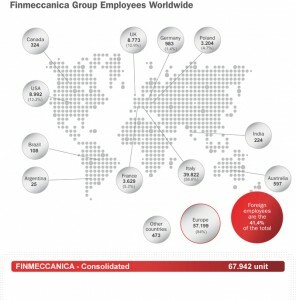 See previuos Finmeccanica first level structure here.